A big number of free utilities available to edit video files. But you will be happy to know that you can merge video files using one of the built-in apps! All you need is to install the latest Windows 10 Fall Creators Update version. The Photos app comes with plenty of tools to edit your photos and videos. 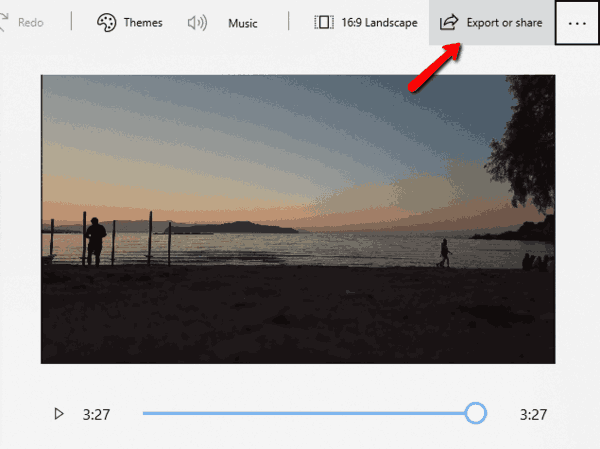 It is possible to use the Photos app to combine videos on your Windows 10 PC. Before proceeding, ensure you are on the Fall Creators Update. Open the 'About Windows' app: Press the Win + R keys and type winver.exe in the Run dialog. Windows 10 Fall Creative Update was released to the public on October 17, 2017. Open the Photos app and click on the Create button. Select the Video Project entry in the menu. Select the video files you need to combine into a single file. Name the project and click on 'Create Video'. The app will go to the video editor mode, where you can trim the added videos if required. Click Done after you finish. 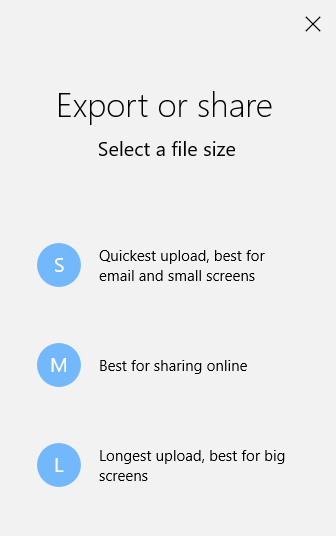 Click 'click Export or share'. The video will be automatically saved to the folder 'This PC\Pictures\Exported Videos'. This can take some time, depending on length of your clips. Tip: If you need to keep the original soundtrack for each video, ensure that you have selected 'No Themes' under 'Themes'. That’s how you can combine multiple videos natively in Windows 10 without using third party apps. 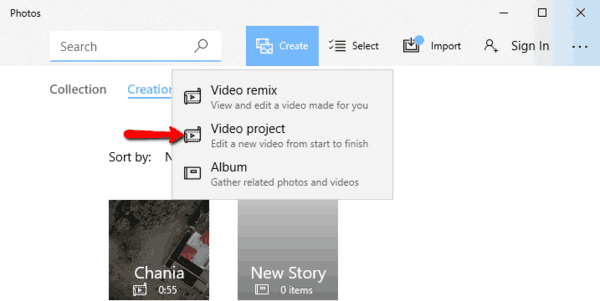 The ability to combine video clips is part of the 'Story Remix' feature of the Photos app in Windows 10. 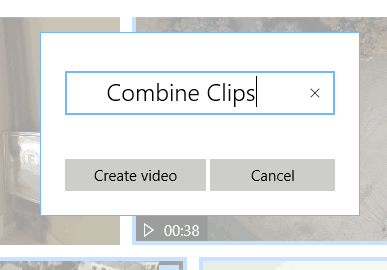 Windows 10 Photos app lets you to combine and merge videos and save the result to a new file. The video will be saved to This PC\Pictures\Exported Videos. Thank you for very clear description how to merge videos n Windows 10 1709. Non of which has the Create Video remix etc which you showed. I agree, very good walk through with all the screenshots. I did not have the “Create” button either, but above the pictures on the left hand side there is an option of “video project” and from there you’ll be able to combine. Super easy once I saw that and then the rest of the screen shots made sense. what is the format that the videos need to be in. I have clips in mpg and the program does not recognized them.